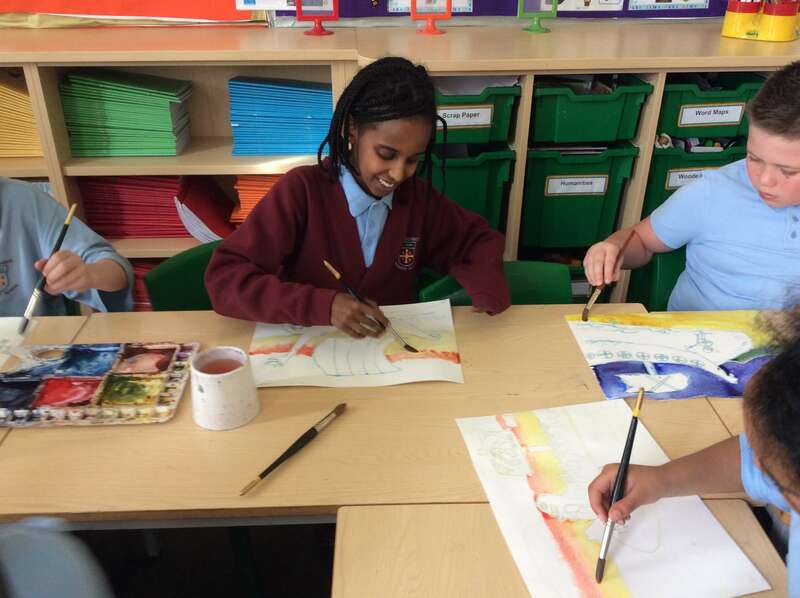 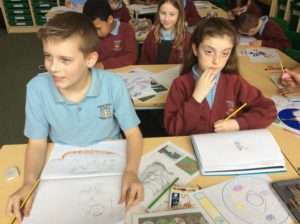 On Thursday Year 5 welcomed artists Jenny and Sarah into class to teach us some water colour skills. 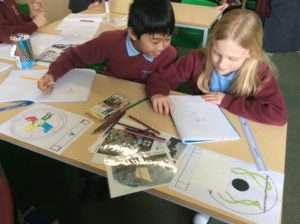 Sarah and Jenny started by talking to us about the Viking invasion at Lindisfarne, setting the scene for our painting. 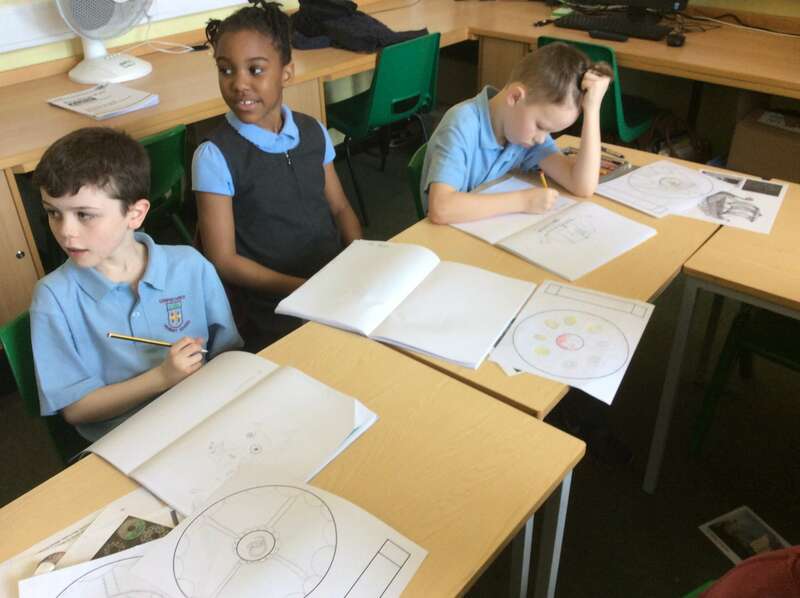 We then took part in some warm up activities which helped us to draw detailed Viking long ships practising showing movements in objects. 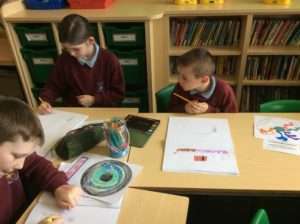 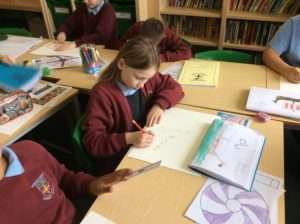 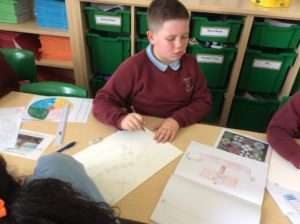 We also sketched our own shield designs which would also feature on our painting. 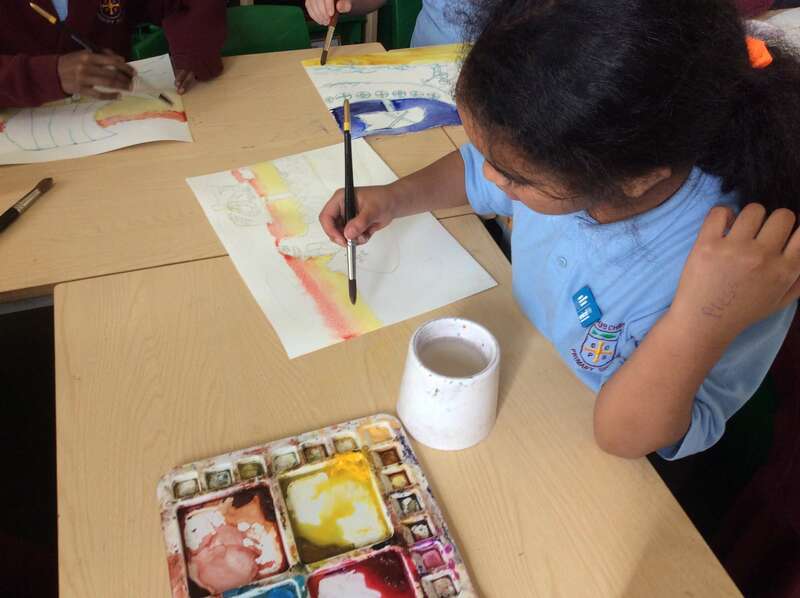 We were asked to focus on the long ship and were tasked to make it look like it was landing on the shores of Lindisfarne. Once we had planned our paintings in our art books we sketched them onto special wood based water colour paper. 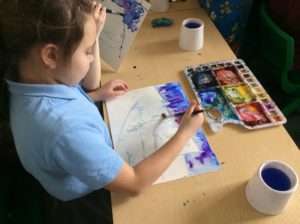 Before it was our turn Jenny and Sarah demonstrated how to use the water colours effectively, including how to create a moody sky and winter sea. We had a fantastic day and we all excelled using water colours thanks to Jenny and Sarah’s guidance! You have the right to find out things and share what you think with others, by talking, drawing, writing or in any other way unless it harms or offends other people.